Why Does Your Carpet Warranty Require Scotchgard? Scotchgard provides two types of protection for your carpets and upholstery! Many issues that result in costly repairs, specialty cleaning procedures, or having to replace your carpet or upholstery can be prevented with a combination of Scotchgard and appropriate treatment by the home owner. Scotchgard protectant creates a physical barrier that absorbs wear and prevents fibers from being damaged. Most household dust and soils are composed of rough, jagged materials with sharp edges that will cut and damage carpet fibers. These sharp edges act like sandpaper, scuffing and cutting your carpet fibers. These cuts alter how light reflects off the carpet creating shadows; this causes carpet to look dirty when actually the fibers are damaged. Scotchgard prevents dyes from contacting your carpet fibers, giving you time to simply blotliquid spillsaway with a paper towel. Many household products, Kool-aid, coffee, pens, ect, contain dye. Once a dye adheres to your carpet fiber, there is no guarantee that even professional cleaning can reverse the damage. Your best, and least expensive, defense is to properly maintain your Scotchgard protection. While Scotchgard provides two types of protection, one from solid hard contaminates and one from liquid spills, the two work hand in hand. On all fiber carpet and upholstery, hard materials scuff and wear on whatever surface they contact. Once the protectant is worn off the fibers, the fibers start being damaged. This makes thecarpet or upholstery look dull and dirty. Once these cuts and scuffs wear through the Scotchgard and clear protective dyes (stain resistant carpet) that manufacturers apply, common spots and spills become permanent stains, blemishes and discoloration. With the defenses worn off, dyes from spills and accidents will lock to the fibers, re-dying the carpet. Instead of being able to remove all traces of the issue yourself, often the carpet must be repaired, re-dyed, or even replaced. Obviously the biggest threat to the life of your carpet are the hard contaminants. Scotchgard will make it easier for you to remove them from your carpet. The smooth coat of Scotchgard provides a surface that they will not stick to. They will easily be removed with regular vacuuming. That Traffic pattern in my carpet isn’t related to Scotchgard, right? Many times that traffic pattern that won’t come out is actually abrasion damage to carpet fibers! This is why, when the carpets are first cleaned and still wet they look good, but when they dry the traffic pattern comes back. When the carpet is wet, the light reflects off the water, but when it dries, the scuffs and cuts are visible again. What if your carpets already have this scuffing? It is still important to apply Scotchgard to prevent further damage. The more of this damage that you prevent, the longer your carpet will last. While there is no way to completely reverse the effects of the scuffing, your carpet’s appearance is greatly enhanced by the smooth, reflective surface of a fresh Scotchgard application, which will last long after the water has evaporated. How often should my Scotchgard be renewed? Carpet manufacturers recommend having your Scotchgard renewed every 18-24 months, depending on use. They all recommend having Scotchgard renewed after every professional cleaning. Applying a fresh coat of Scotchgard every 18-24 is the only way to keep your manufacturer’s warranty intact. 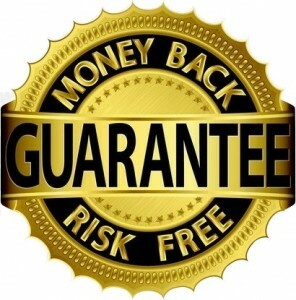 It is highly recommended to have Scotchgard renewed after every professional upholstery cleaning. For these important reasons we use only genuine Scotchgard, and we provide you with the authentic documentation your carpeting warranty requires. What about stain resistant carpet? It all has to do with how the carpet is made. Stain resistant carpet fibers are color dyed, then re-dyed with a clear dye. The clear dye is what makes it stain resistant. The outer layer of clear dye helps repel other dyes that may spill onto the carpet. However, stain resistant is not stain proof. Stain resistant carpets still need the outer layer of spill protection provided by Scotchgard, as well as protection from the abrasive materials in your carpet. Actually the final step in manufacturing stain resistant carpet is toapply a protective layer of Scotchgard after applying the clear dye. The exception to rule: Mohawk has recently introduced a new carpet line called the SmartStrand. Mohawk provides a lifetime stain and soil resistance warranty on this product that will be voided with the application of any type of protectant. This is the only carpet product available for in home use that doesn’t require Scotchgard to maintain the factory warranty.